Join members of the Essex County Branch of The Ontario Genealogical Society for our March presentation. 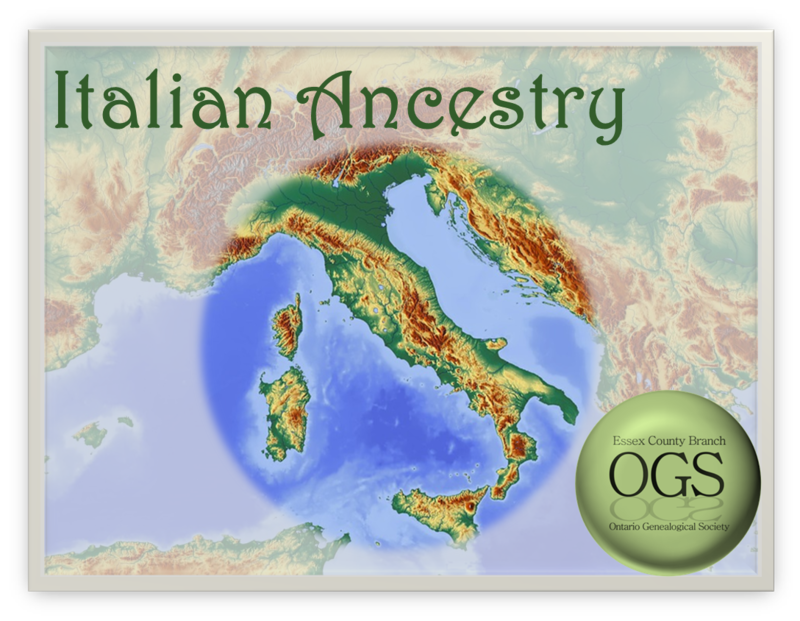 Flavio Andreatta from Windsor’s Italian Genealogy & Heraldry Society speaks about Italian family history research and highlights of their organization. Door opens a half hour before the presentation. Come early to Meet & Greet. Visit https://essex.ogs.on.ca/ to learn more about us.